Living... in post-WWI Birmingham, England, with his five siblings and his aunt Polly. It’s a full house and the Shelbys have plenty to do. 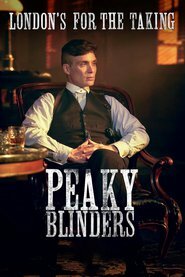 As important members of the Peaky Blinders, a local criminal gang, “Tommy” and his relatives navigate the treacherous social landscape to solidify their power within the city. Interests... smoking, drinking, and gambling. Thomas Shelby indulges in the hobbies of a typical gangster of almost any era. He conducts business with a cigar in his mouth and a glass of whiskey in his hand. Relationship Status... single. Warmth and romance aren’t his strengths. If the relationship isn’t strategically valuable, Tommy isn’t interested. Challenge... holding onto power. With the arrival of Major Campbell – a police chief inspector – and the tireless scrutiny of Sir Winston Churchill, organized crime is facing some tough opposition. Tommy and his Peaky Blinders plan on circumventing the crackdown, but it’s not going to be easy. Thomas Shelby's popularity ranking on CharacTour is #1161 out of 5,000+ characters. See our top-ranked characters and read their profiles.